This story reports on a 40-minute speech by environmental activist and journalist Bill McKibben at a conference, “Journalism is Dead; Long Live Journalism,” organized by Journalism That Matters, and following his receipt on Aprl 3, 2013 of the “Anvil of Freedom” award from the Edward W. Estlow International Center for Journalism and New Media at the University of Denver. The full transcription of his speech may be downloaded as a PDF from HERE and an MP3 podcast of the talk is HERE. Before he wrote in 1989 the first and most famous popular book about climate change, The End of Nature, Bill McKibben considered himself “a good journalist, and nothing more, for awhile.” But now the climate-change activist, founder of 350.org, is challenging fellow journalists – he still believes he is one – to see climate-change reporting as the ultimate test of journalism’s value. McKibben was speaking to about 100 people after receiving the annual “Anvil of Freedom” award from the Estlow Center for Journalism and New Media, at the university. His talk came at the midpoint of a conference organized by the non-profit group Journalism That Matters, entitled: “Journalism Is Dead; Long Live Journalism.” McKibben said climate change will give mankind the opportunity find out whether big brains were a good or bad evolutionary adaptation – as we see how governments and societies deal with the peril. While climate change as a phenomenon moves far slowly that most stories journalists are used to covering, he says the Earth is now warming 50 times faster than at any point during the Holocene. It moves extraordinarily fast in geological time. That calls for journalists to consider to consider its significance to be as newsworthy as its speed, he said. The “he-said-she-said approach” doesn’t work very well with science because once scientists have reached a working consensus on something, that actually is what you would want to get across, not that there is some very small group who remain doubting, said McKibben. Last year, McKibben’s article in Rolling Stone magazine entitled “The Terrifying New Math of Climate Change,” garnered three million “Like” on Facebook, he said, surpassing by far the reaction to the cover-story in the magazine’s issue that month – a profile of celebrity Justin Bieber. McKibben said he helped found the climate-action group 350.org because that was the number in parts per million of carbon that can be safely sustained in Earth’s atmosphere. He said there are three numbers of importance, the three numbers he laid out in his popular Rolling Stone story. The first is two degrees. That’s what the world’s governments and most scientists have said is the most we can safely raise the temperature. “It’s the only thing that the world’s governments have agreed to so it represents the only line that we can kind of hold people to. So it’s an important number,” said McKibben. Second number — 565 gigatons — billion tons — of carbon — how much more carbon we can put in the atmosphere and stay below that 2 degree red line that government’s agreed would be catastrophic. “At the rate we’re burning coal and gas and oil at the moment, it will take us about 15 years to blow past that number,” he said. While journalism may be failing to do its job on climate change, McKibben says the rise of “citizen media,” including such services as Twitter make it inexpensive to propagate important stories through new media forms. He said that was how his 350.org group first raised public concern about the Keystone Pipeline. 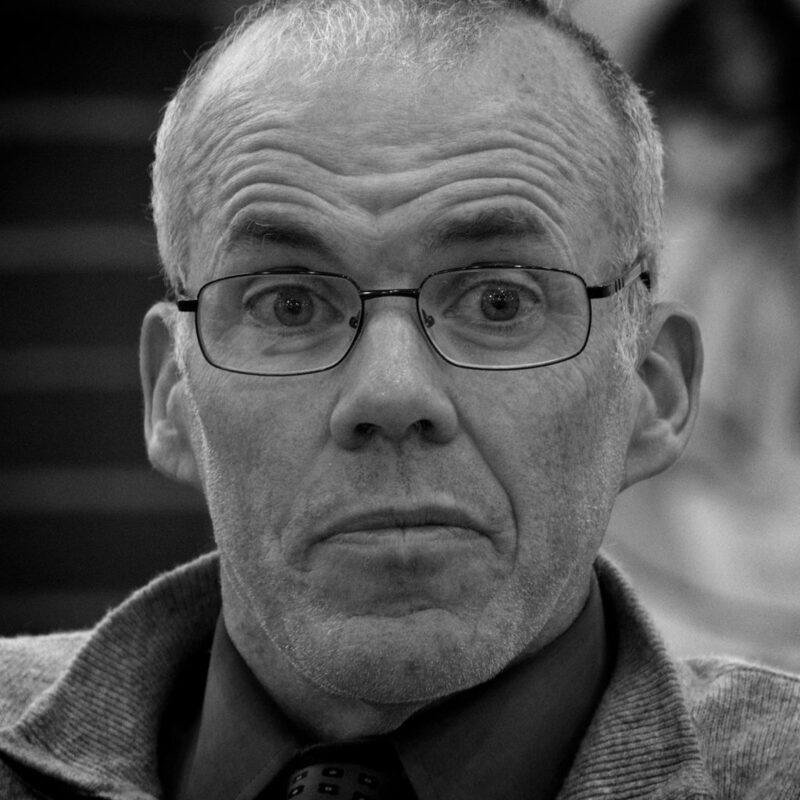 McKibben to #jtmdenver Only answer: Join many people into something that has hope of change. Important to cover movement: That’s hopeful. Q from @calliecarswell to McKibben at #jtmdenver, do we talk about adaptation instead of same story line of climate crisis? #jtmdenver McKibben: Question: What is the space between denial and despair? McKibben answer: Keep showing examples of solutions underway.